You have no doubt been in a situation where you’ve had to slam on your brakes, thankful that they work so well. Applying your vehicle's brakes is an example of stopping kinetic energy, which is present when your car is moving. Most automobiles today have anti-lock brakes. The ABS, or anti-lock braking system, is a four-wheel system that modulates braking pressure automatically during a quick stop. When the brakes are engaged, fluid is forced through a set of valves from a master cylinder, causing pressure that is transmitted to the hydraulic control units at each wheel. 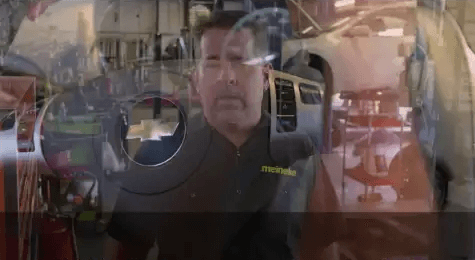 You can learn more about ABS from the pros at Meineke #1808 in Lexington, SC. You never know when you’re going to have to make a quick stop while driving your car. It is critical that you be able to trust your anti-lock brakes when faced with an emergency situation. If you have passengers in your vehicle, children especially, the need for safety is even greater. Regular inspections are the best way to make sure that your brakes are in peak condition. At Meineke #1808 in Lexington, SC, we offer excellent ABS brake service, including timely and cost-effective inspections. Vehicles equipped with an ABS brake system generally have a dashboard light associated with the system. Some older vehicles may use the check engine light. However, your car will start to show physical signs during ABS brake failure. It may require more effort to press down on the brake pedal or the pedal may actually be unresponsive. If your ABS brakes need service, you will still have control and use of your regular braking system. This is not a reason to ignore ABS brake service. Bring your vehicle to the trusted technicians at Meineke #1808 in Lexington, SC for repairs and maintenance. It might seem strange that your regular brakes work properly even though the ABS brake light is on. This is no reason to ignore the light, because the anti-lock brakes prevent hydroplaning or skidding in adverse weather conditions. The ABS brakes give you more traction when you’re on a slick surface. The new technology of braking gives you even more control over your car, even if you start to slide. Bring your vehicle to Meineke #1808 in Lexington, SC for ABS brake service to keep you and your passengers safe under any type of driving conditions. 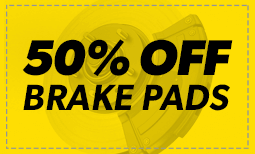 If you are accustomed to bringing your vehicle in to Meineke #1808 in Lexington, SC, for routine inspection of your anti-lock brakes, you already know that this represents big cost savings. You might need a minor part or some brake fluid added to the system, and this kind of service can be done quickly and inexpensively. If, however, you have worn brake pads, replacement will be required and you should have that done as soon as possible. Brakes of any kind are designed to wear out, and brake pads are only one component that might need replacing. We will assess any brake problems you’re having and recommend the most appropriate solution. Keeping your brake system in good order and replacing it as necessary is one of the most important car safety precautions you can take. For this reason, it is essential to have an experienced car professional to rely on. From knowing where to buy brake fluid that is right for your system to resources for ABS brake service, your service center helps you to keep your brakes in top condition. 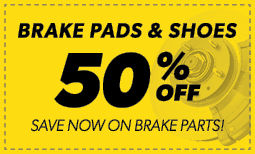 Visit in Lexington, to learn more about brake replacement and maintenance.